Sydney Shop Girl: Backyards. Baking. Beauty. It's such a changeable time of year, weather wise, isn't it? One day you're out watching the fog lift to reveal nearly naked trees with fading flowers clinging to bare branches. And the next you're out in the backyard with the sun on your face and watching as it begins to set in a piercing blue sky. Toddler SSG made the most of yesterday's sunny stay at home mum day by running around at speed at our local park and intercepting the kicks of a neighbourhood soccer game in the process. Then we walked home in companionable and slightly exhausted silence to take in the laundry (and scatter the contents of the peg basked) as we watched the sun begin to fade over the backyards on our street. Spring is almost here and I can't wait! The other thing that sunny afternoons are conducive too is baking. I made a batch of banana and pear muffins based on this recipe from Kidspot. I added an overripe pear in with the banana and a generous teaspoon each of vanilla essence and cinnamon. I mixed by hand rather than with the electric mixer the recipe called for and still ended up with mini muffins that rose to almost perfect domes (if you can turn a blind eye to the messy splatter of batter that baked into my muffin tray). The recipe made 36 mini muffins for me and a dozen or so have already been eaten. The good thing about toddler recipes is that they aren't as sweet as the standard recipes can sometimes be. The brown sugar and wholemeal flour of this recipe also gave the muffins a lovely golden tint. I dropped into Westfield Chatswood as well and gee the walkways between the various Westfield buildings are looking pretty fancy these days. New cafes and restaurants have been built pretty much up to the kerb and there's strings of lanterns between them that I've heard look fabulous at night. But I wasn't just in town to investigate the food and beverage scene, I had urgent business to attend to. An eye check up and new glasses (all will be revealed when my new frames connect with my high powered prescription) to choose which then lead to a side trip to MAC and The Body Shop. I bought a new Studio Fix compact (AUD $49) to replace the one that tragically shattered in Perth and a concealer from the Mineralize range. The Maybelline Fit Me concealer I've been using has a great texture and wears well but it didn't provide the coverage I need for the tired looking skin under my eyes. With regard to pressed powder, I was oscillating between the Fit Me powder and a Laura Mercier mineral makeup powder. Both of which were just okay in terms of finish and wear. Fit Me was a bit drying and slipped off my skin by noon whilst Laura Mercier's offering looked a bit caky on me. 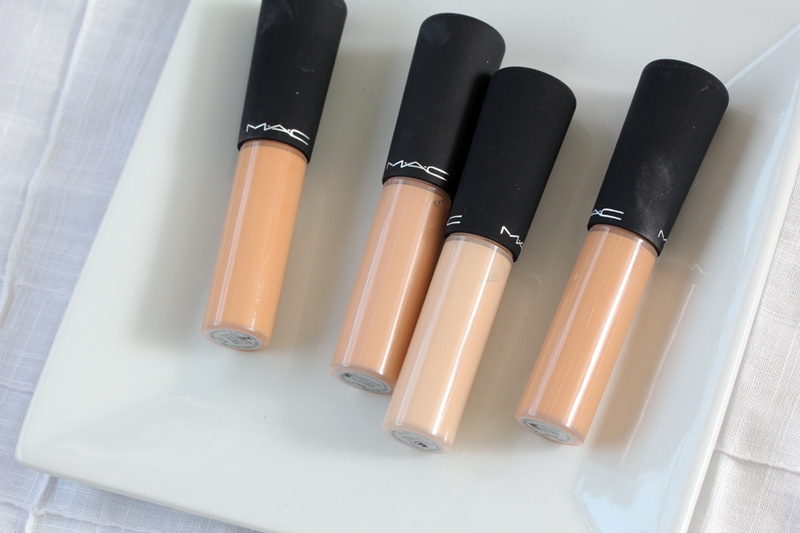 The Mineralize concealer retails for AUD $38 and is available in 16 shades. I am going to learn from the error of my ways on my most recent trips to the US and will be stocking up on both this concealer and pressed powder when I'm next over there. 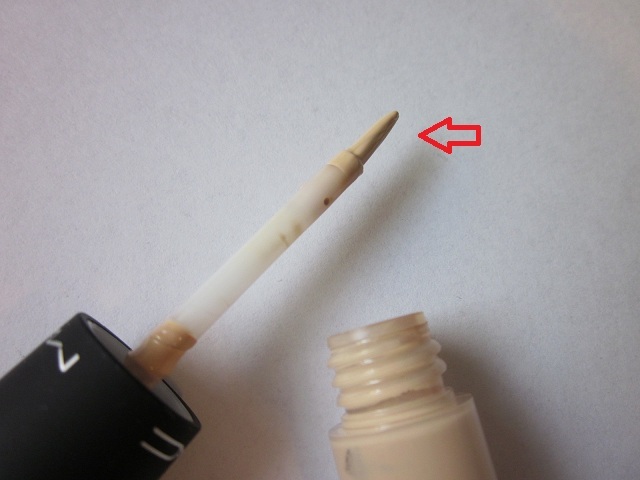 It has a brush rather than sponge tip applicator and has a light texture that blends better with a brush than fingertips. It doesn't crease and gives medium coverage according to the MAC site which translates to it being a miracle worker that made me look as if I'd only been woken up once at 2am last night rather than the three times it was in actuality. Which is good enough for me. My last bit of beauty shopping news comes to you from The Body Shop where, wait for it, there's been a price drop across the range of TBS products which the brand website is touting as 'lower prices for good'. The new prices came into effect on August 1 and when I visited the Chatswood store, quite a few people had already gotten 'high' on the lower prices for the Hemp products (boom tish). My favourite hand cream is now $17.95 for a large 100ml tube down from $21.95. Needless to say, I stocked up. Are you still a TBS fan? Gotten over the fact that Dewberry scented products are discontinued and the old school apricot and strawberry lip balms in the pots are no longer? What are your faves?